by Nuno Rainho. It’s no secret that Mozambique is a country gifted with an abundance of natural resources which include trillions of cubic feet of natural gas in the Rovuma Basin, considerable oil reserves in the southern part of the country, and holds some of the world’s largest untapped coal deposits. From an outsider’s perspective, the key question is: How can a country so rich below the surface in such resources be — above the surface — one of the poorest countries in the world? While Mozambique’s economy is slowly recovering from years of warfare and health issues, population growth is on a faster track. The combination of the two translates into almost 55% of its 30m people living below the poverty line, with 90% earning less than US$2 a day and only 26% having access to electricity. The country’s poor infrastructure and unskilled labor force is a huge concern for the future development, as well as a major obstacle to overall economic and business growth. The question on everyone’s lips is: How to change this? Some believe that the country’s natural resource wealth could be used to kickstart the national economy, as well as drive it to the next level, since its value is estimated at US$39bn. It’s also estimated that only 32% of the population is urban, leaving room for exploration of natural capital, and that the population is young (averaging an 17 years of age), which makes available human capital for development of the country. No doubt, the future of the country relies in the education and upliftment of these young generations. Mozambique is a ‘melting pot’ of cultures, with its influences going beyond the African borders. Its official language, for instance, is Portuguese, and its major religions are Catholic (28%) and Muslim (18%). Mozambicans are becoming more and more proud of their African heritage — you can see this in the new generation, called Afrilennials, with their unique approach to life inspired by local knowledge. Services dominate the country’s current economy, accounting for 43% of GDP (as mentioned, natural resources are plentiful but underdeveloped). Agriculture is also vital: 32% of GDP and employing 80% of the total workforce, while industry accounts for 25% of GDP, bringing up the rear. Within these three broad sectors, manufacturing accounts for 12% of GDP and transport, communications and trade account for 11% each, while mining accounts for 2.5% (but is growing rapidly). It stands to reason, then, that the biggest categories of spend therefore come from these sectors. In order of spend, they are: telecommunications, non-alcoholic beverages, banks and financial services, food and retail, with Vodacom, Coca-Cola Sabco, Unilever, Tropigalia and GOtv being the big spenders. From a brand perspective, marketing communication has been forced to evolve fairly quickly from the one official language to recognising that the population has developed its own peculiar expressions in what many are calling ‘Moçambiquês’: “maningue”, “como anima”, “estamos juntos”, “mahala”, “txilar” and so many others. I often say that brands are like animals; they constantly need to mark their territory otherwise they will lose ground to other alpha brands. With 80% penetration, television is currently the main vehicle brands use to communicate with consumers in Mozambique. This is unlikely to change in the near future but, as Mozambique’s infrastructure is enhanced and digital technologies become more prevalent, I fully expect social media to become much more relevant for the big players within five years. Good brand activation, regardless of sector, always works in Mozambique, and the out-of-home market is a strong medium. The added value of the latter is that it allows geographical segmentation of the communication and, in a country with low level of literacy and income, works well as long as there’s a strong visual element. My advice to visitors, especially those coming to Mozambique for business, is to adopt a positive attitude and — instead of the poverty — see opportunity. On the one hand, in the next few years, sectors expected to grow include consumer goods, food and beverages, business-to-business and pharmaceutical and healthcare. On the other hand, technology companies expect flat revenues. As much as the country is rich in natural resources, it’s rich in its people who, from the north to the south, never fail to express their joy of living each day. Mozambicans are happy and optimistic. Although the country is presently facing challenges, Mozambicans live each day with great satisfaction and strongly believe that better days will come. They are so creative in so many ways and reinvent themselves to face — with a smile — the obstacles that come their way. I am an expat who lived most of my life in Portugal and then two years in Angola before coming to Mozambique. Here, I fell in love. With the smile in every answer. With the couples dancing cheek-to-cheek, the taste of the amazing seafood and the vibrant colors of the country. I love my secret romance with the warm Indian Ocean; the upbeat atmosphere of young people dancing the Marrabenta; the taste of my beer and cashew nuts in the afternoon, taking in the African sunset; and the realisation that it’s possible to find the perfect balance between family and work. Thank you so much, Mozambique. My wish for you is that someone unleashes the power within, so you become the country you’re destined to be. 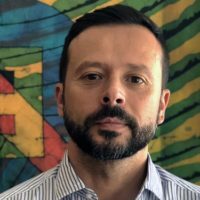 Nuno Rainho is managing director at Back Communication, one of the agencies in the FCB Africa network. Nuno has 18 years’ experience in Portugal (at Brandia Central, Publicis, Ivity Brand Corp), Angola (at Grupo Zwela) and in Mozambique (at MKT and Back Communication). African Echo seeks to unpack markets in Africa, highlight business opportunities and share insights into what works and what rebounds.